What is a mobile survey? A mobile survey is essentially an online survey adapted to the screen size of any mobile device. Increase survey response rates with a consistent browsing experience across a range of screen sizes and devices, with surveys that adapt automatically to any screen size. Why is mobile so important? Mobile data collection provides data collection opportunities for a wide variety of market sectors. From healthcare, market research, and education, to travel & tourism, non-profits, and government agencies to name a few, all of which make use of mobile data collection methods. Mobile data collection can be utilized as an online data collection method as well as during off-site, face-to-face interviews, for one-on-one data collection with an interviewer. The instantaneous feedback feature of mobile data collection combined with the ability to personalize the experience with interactive features make it comparable to using the face-to-face survey method, with the cost benefit factor of the online data collection method. Mobile data collection may never fully replace face-to-face interviews, but it can and does maximize the productivity of those involved in conducting research. As a Snap Survey Software user, you know there are many powerful features. Here is another tip we’d like to pass on to our users. Some questions require respondents to enter responses in detail in an open ended box (comment question box). Previously, when data lengths were applied and the box size was more than one row in size, the data length would essentially be ignored. Respondents were able to enter more characters than the data length set, but when the data was imported it would be truncated to meet the data length. To resolve that issue the Auto-Extend on import feature was added in Data Entry Tailoring. Learn more about Auto-Extend on import in Snap Online Help. Now, when a data length is set and the box size is greater than one row, you can still ensure that the data length will in fact be followed. 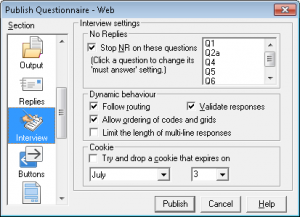 The Limit the length of multi-line responses setting found in Questionnaire Properties: Interview section will allow the data length to be followed. Learn more about limiting the length of multi-line responses in Snap Online Help. The new features that have been added regarding the data length are the Character Counters. You can insert these into the Footnote of open ended questions to allow the respondents to know how many characters they have remaining, the total available, and/or the total they have used. These can be inserted through Font (2nd dropdown) > Insert… > Response Property. Learn more about Character Counters in Snap Online Help. Have you had a chance to check out the new SnapSurveys.com? SnapSurveys.com has a fresh new look. We’ve designed our new website to give visitors a more pleasing experience that is engaging and easy to navigate. Check out our new look at www.snapsurveys.com. 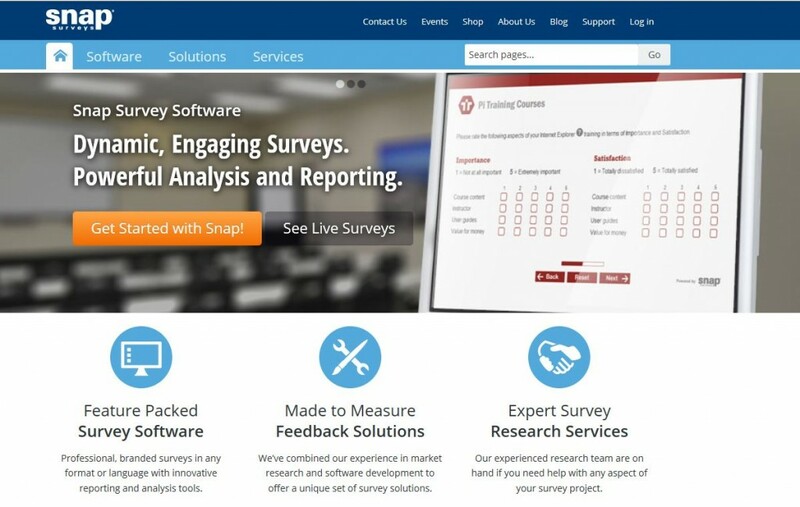 Learn about all of the new features of our Snap 11 Survey Software or browse through the many services we offer, including survey design assistance, data collection, analysis and reporting, and translation. Whether your research is small or large, Snap’s Research Services team can give you the help you need. Or, perhaps you are interested in some of our survey solutions including Ready-to-Run Surveys or feedback solutions. You can even gather survey design inspiration by viewing our interactive sample surveys. 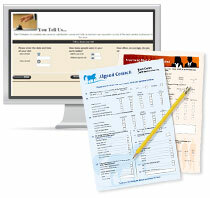 We have all the survey solutions you need to create effective surveys, and all this information is available at www.snapsurveys.com. What do you think of our new website? Please leave a comment below or feel free to email us at info@snapsurveys.com with any questions. When launching your online survey you need to thoroughly review all aspects of your survey before it goes “live.” Although the bulleted list of steps below may seem like common sense steps, it’s the simple things we miss that can cause issues in the data collection process. With data accuracy on the line, it is important to be as thorough as possible when launching your surveys. The team at Snap Surveys is proud to announce the new look of SnapSurveys.com! We’ve taken on a fresh new look. We hope you will find our new website engaging and easy to navigate. We’ve designed it to give visitors a more pleasing experience. 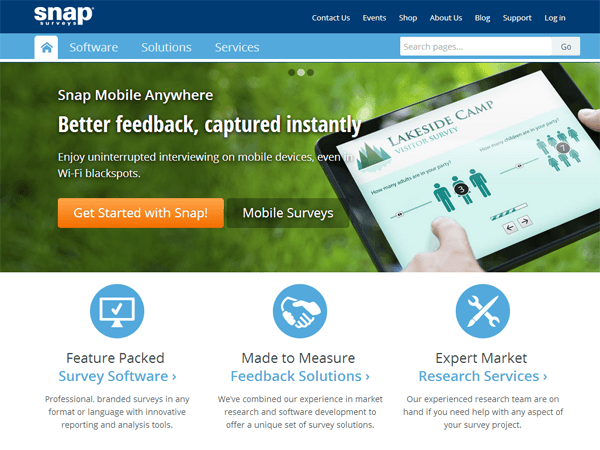 Check out our new look at www.snapsurveys.com. Learn about all of the new features of our Snap 11 Survey Software or browse through the many research services we offer, including questionnaire design assistance, data collection, analysis and reporting, and translation. Or, maybe you are interested in some of our solutions including Ready-to-Run Surveys or feedback solutions. You can even gather survey design inspiration by viewing our interactive sample surveys. The Basics – What Exactly is a Survey? What is a survey and why do we use them?